This next round of electric vehicle terminology explains the mechanical differences among certain hybrid systems. Discover what FCV, series hybrid, parallel hybrid and series-parallel hybrid mean in the EV field to understand how different hybrids propel themselves. Also known as a Fuel Cell Electric Vehicle (FCEV), a FCV is an electric vehicle that relies on the battery power that comes from a fuel cell stack. It uses a chemical process to convert hydrogen to electrical energy that propels the vehicle. Sometimes a FCV uses a small battery and a system borrowed from a conventional hybrid. Sometimes referred to as a series drivetrain, a series hybrid is the simplest hybrid configuration. The electric motor is the only source of power for the wheels. The motor can run on either gasoline engine power supplied by a generator, or electric power supplied via a battery pack. The vehicle’s computer decides what ratio of power comes form each power source. Series hybrids are best for stop-and-go traffic situations because the computer can switch to battery power mode, and save the engine as a backup source for when traffic flows more smoothly. Also known as a parallel drivetrain, a parallel hybrid relies on both an electric motor and the engine to supply power to the wheels. Parallel hybrids tend to have smaller battery packs since they usually rely on regenerative braking systems to stay charged during the trip. They also use the motor as a generator for supplemental recharging when the vehicle is running low on power, similar to how conventional cars use an alternator. As the name suggests, the series-parallel hybrid combines the two designs of the series hybrid and parallel hybrid. This means that the engine can supply power directly to the wheels, like it does in the parallel drivetrain. Yet, it can also disconnect so that the electric motor is the only source of power for the wheels. 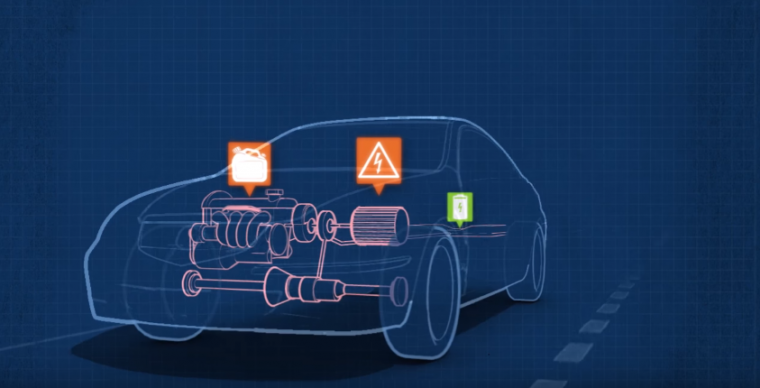 A series-parallel hybrid allows the vehicle to achieve better efficiency more frequently. For example, at high speeds, the engine takes over to minimize energy loss. At lower speeds, however, the vehicle operates on a series hybrid system, for optimum efficiency. Stay tuned for the next informative installment of EV terminology.